We are pleased to announce that CareDx has selected the DNAnexus cloud genomics platform to support its clinical informatics for ongoing R&D activities, clinical trials, and registries, as well as the release of its analytically validated cell-free DNA (cfDNA) assay from their CLIA laboratory later this year. CareDx, a molecular diagnostics company focused on the discovery, development and delivery of actionable diagnostic surveillance solutions for organ transplant recipients, will be expanding its footprint in the organ transplant space by delivering non-invasive tests based on the use of cfDNA as a biomarker for transplant surveillance. By combining the latest advances in genomics and bioinformatics with clinical research efforts, CareDx is able to generate high-quality data and evidence across the three major stages of diagnostic test development: analytical validation, clinical validation, and clinical utility. CareDx is one of the few CLIA laboratories that has satisfied the rigorous review of the FDA when it received clearance for its laboratory developed AlloMap™, a blood-based test used to monitor heart transplant recipients for the risk of cellular rejection. The DNAnexus and CareDx teams are working closely to complete the CLIA laboratory computational analysis pipeline for the CareDx cfDNA test. CareDx’s cfDNA technology works by using next-generation sequencing (NGS) to measure donor-derived cfDNA as a percentage of total cfDNA. Earlier this year at the International Society of Heart and Lung Transplantation (Nice, France) and American Transplant Congress (Philadelphia, PA, US), CareDx reported levels of donor cfDNA rise in patient blood samples prior to and during heart and kidney transplant rejection and decrease following immunosuppressive treatment. You can read the respective abstracts here and here. CareDx needed a way to rapidly implement a production ready solution to accelerate its cfDNA program. DNAnexus filled that role. 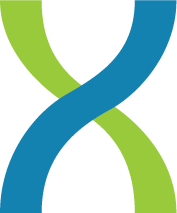 DNAnexus scientists worked with CareDx to seamlessly integrate their proprietary NGS cfDNA pipeline to the DNAnexus cloud-based bioinformatics platform. Expediting cfDNA computational analysis efforts will enable CareDx to rapidly advance and scale this novel surveillance management solution to the transplant setting. The DNAnexus HIPAA compliant bioinformatics platform, with full versioning and auditing capability, supports CareDx’s diverse company activities, including R&D, its cell-free DNA Outcomes AlloMap Registry or D-OAR D-for heart transplants, and its DART clinical trial, a multi-center kidney transplant study using cell-free DNA. The DNAnexus platform provided significant time and cost advantages relative to building an on-premise solution. CareDx’s cfDNA technology, based on pioneering studies by Drs. Stephen Quake and Kiran Khush and their colleagues at Stanford, could potentially be used for all solid organ transplants and provide additional benefits in simultaneous detection of infectious agents and the cancers associated with long term immunosuppression. We are excited to collaborate with CareDx as they expand upon their industry-leading organ transplant surveillance solutions and embark upon additional clinical opportunities and diagnostics markets.